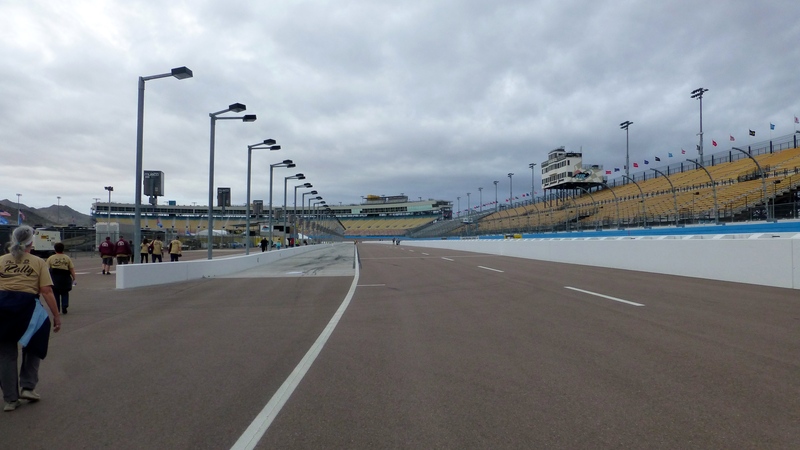 We are at the Good Sam Rally (sponsored by Camping World) being held at Phoenix International Raceway. 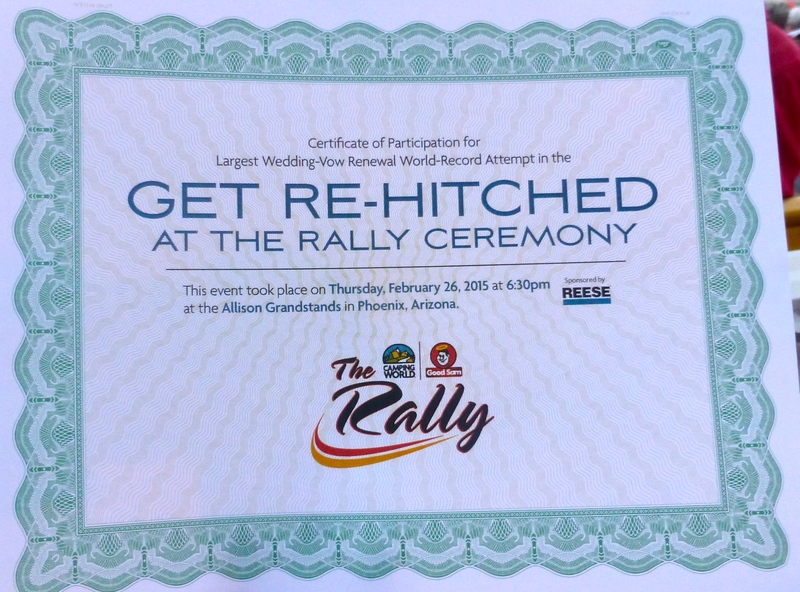 One of the activities was to try and break the world record (currently 1087 couples) for people getting “re-hitched.” The counting and cross checking marriage license copies has not yet been completed so we don’t know, yet, if we are world record holders. They had prizes for the best costumes (Elizabethan), newest married (6 days) and longest married (65 years!). There were several couples that had been married 60+ years! 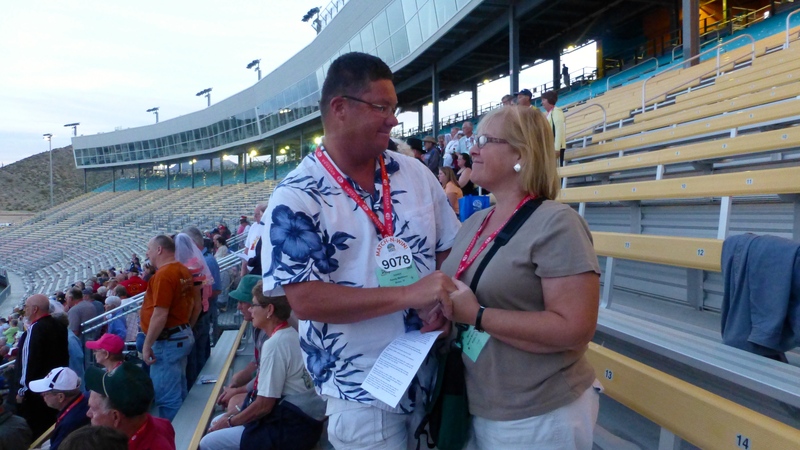 We are young’uns in this crowd at 55 and 56 and 34 years married! Another activity here is Match-N-Win. In our registration packets we were assigned a 4 digit number. Four people in the rally (about 6000 people) have the same number. I connected with one of my other three people in the first 15 minutes – and then never found another. People go all out to try to connect with one of their match people and that part has been pretty amusing. If you match up, you get a T-Shirt and then are entered for the grand prize drawings. There were about 2000 of us in the winners tent and they gave out over $20,000 worth of prizes – but not to me. 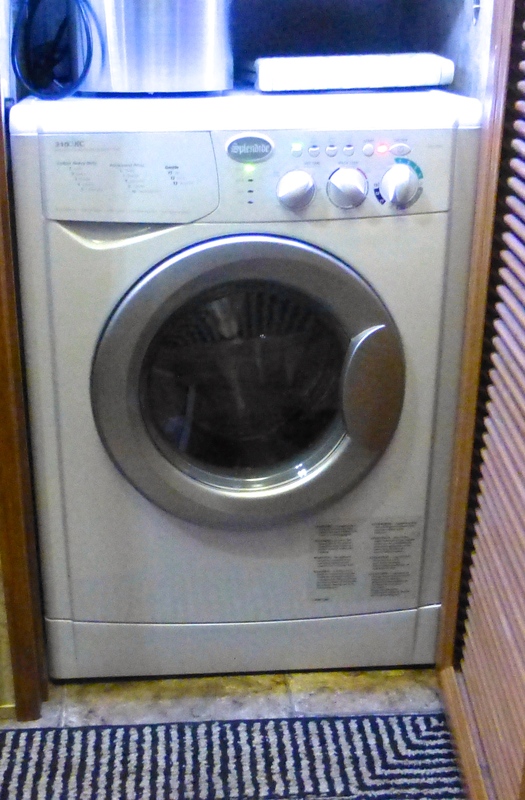 My “prize” of the trip was our new Splendide Washer Dryer combo. Randy had it set up to be installed the day we came onto the grounds. 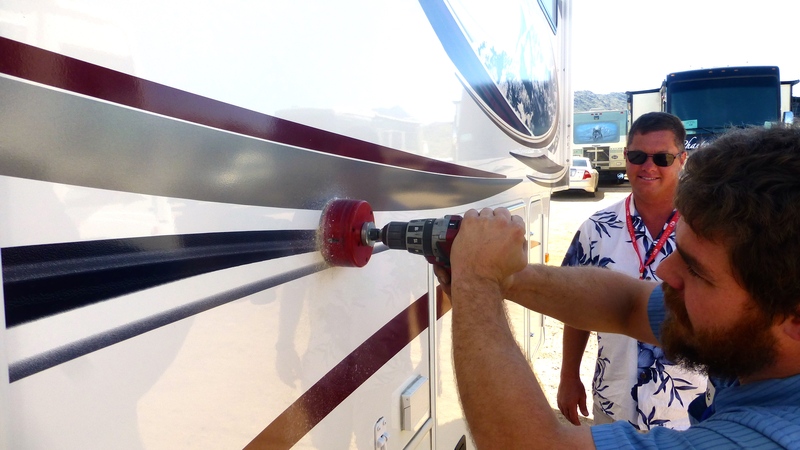 Randy is smiling while the technician drills a hole in our trailer, but I’m not sure he really felt like smiling. Maybe he was just glad he wasn’t doing it. We haven’t been able to try it out since we don’t have water or sewer hookups here at the race track. 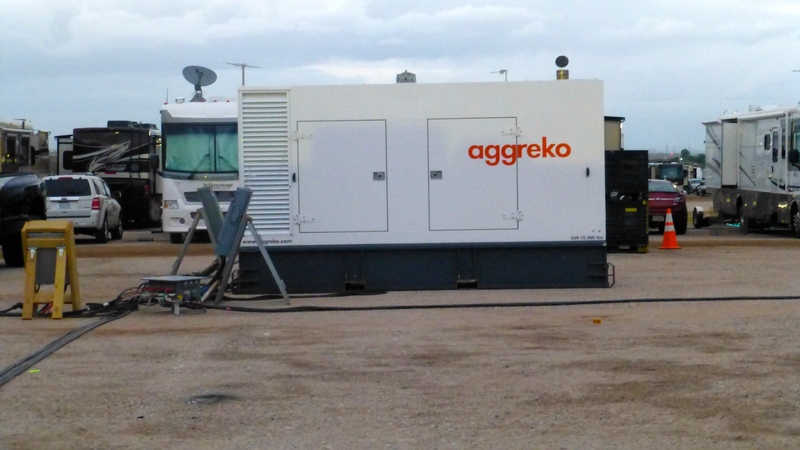 They have brought in some monster generators to supply power and that has worked well. 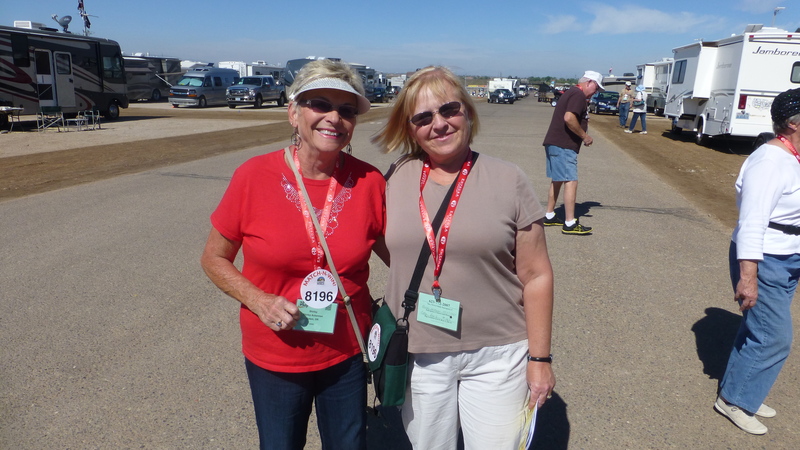 Other activities at the rally include the vendor tent and viewing lots of trailers and motor homes for sale. 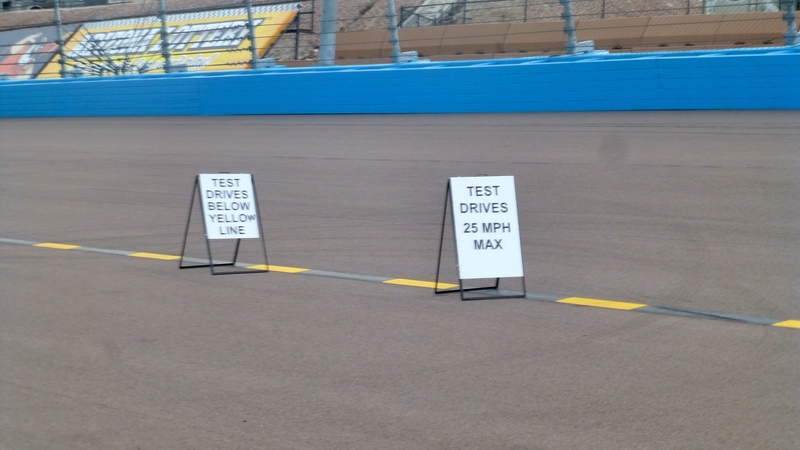 If you were interested in buying you got to test drive around the track – with restrictions. Although we didn’t spend a lot of time looking, we are glad to say we didn’t find a fifth wheel we liked better than the one we own. Regarding motorhomes, I told Randy I liked the one for $279,000 much better than the one for $449,000 – on sale! Many motorhomes are really over the top! 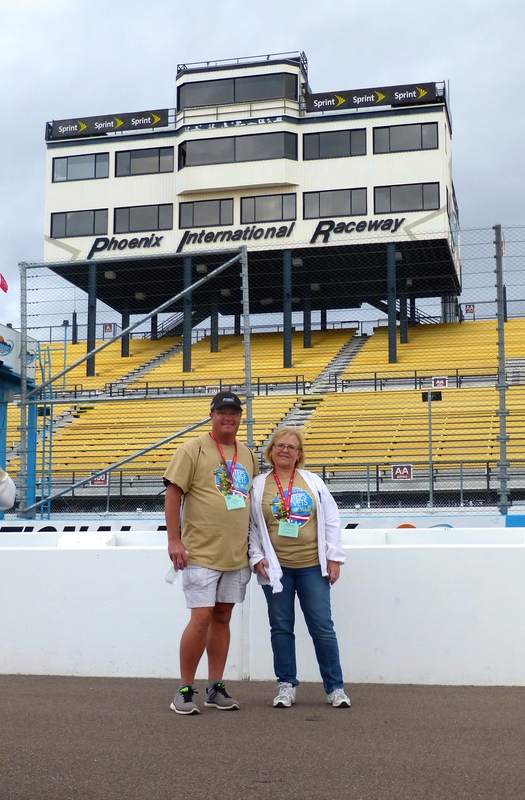 Most activities were held in the infield pit area but we did get to walk three times around the NASCAR track itself while completing the 5K “Steps for Vets” fundraiser. Other than getting up at 5:30 on Sunday morning, it was a blast. We walked with Cliff (a full-timer from New York that we met at our last campground and reconnected with here) and a couple from the Mississippi Gulf Coast. They lost 2 houses in Katrina which was an interesting conversation and then we found out he worked for the division of NASA that investigates accidents. We talked about the Columbia and Challenger accidents, something we still remember well. After the 5K, Randy went to a seminar on Facebook and I went to a church service in one of the big tents. The pastor spoke on The Good Samaritan parable, as that is the backbone philosophy of the Good Sam Club – travelers helping others. During the singing I heard a beautiful descant and wonderful harmonies behind me. When I complimented the singer after the service, I found that they are also from Boise. What a coincidence! The grounds near the race track are huge! There are about 2800 RVs here this weekend and we barely make a dent in the stands or the parking areas. Randy and I were guessing that the rigs here are 85% motorhomes, representing hundreds of millions of dollars. 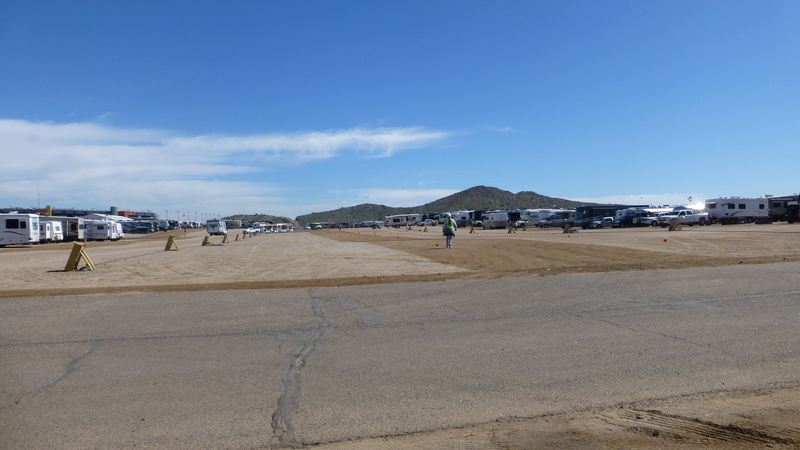 The NASCAR race in Phoenix is in 2 weeks and people are already starting to show up in the outer parking areas. There is even a huge Safeway Tent that revs up as a regular grocery store during the race weeks. There has been entertainment. One night we enjoyed a Beatles tribute band and they were quite good. The Beatles were really most popular the decade before Randy and I got big into music, but of course, over the years, most Beatles’ songs have become familiar. The grandstands were rocking with the 60 – 80’s set really enjoying the music. It was fun to see all the cell phones waving with the music instead of the lighters. 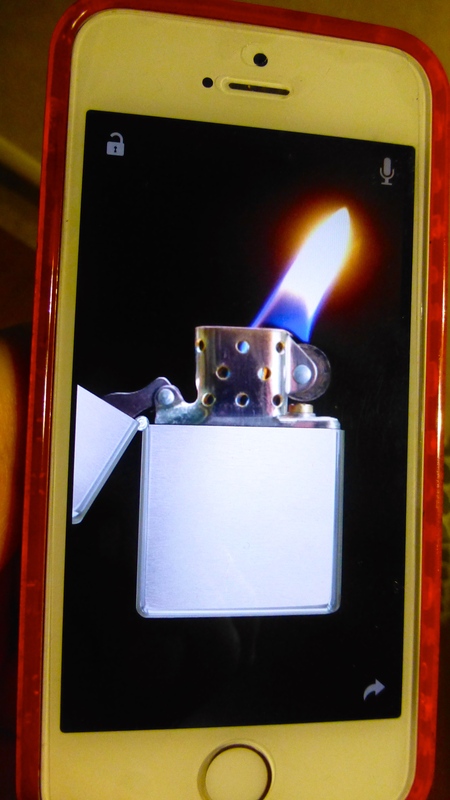 Cliff, mentioned above, had a great APP from Zippo on his phone and quite a few people downloaded it right away to be a little more authentic. 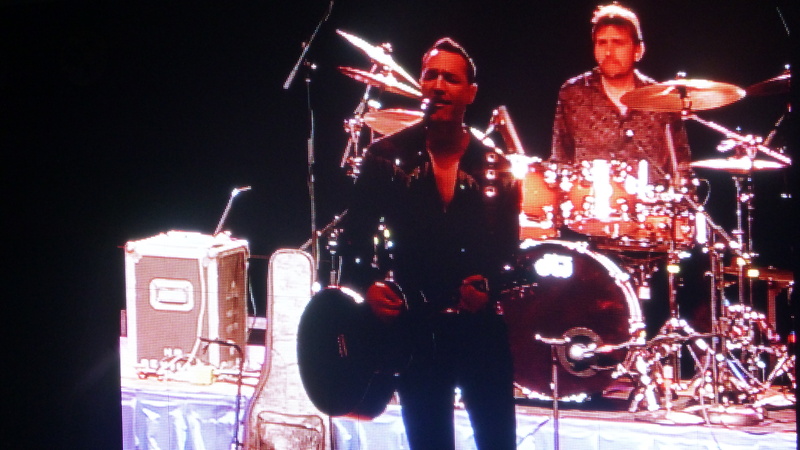 Another night the entertainment was a Neil Diamond based act – thinking of you Cindy Berg! 1990 – The first in-vehicle system was installed. 1997 – Datus system was developed, Cost was $2500 and $199 per city card. 2000 – GPS became more available for non-military uses. 2003 – Magellan Roadmate sold for $1300, the first full US navigation system. 2004 – Four companies were involved with mapping and GPS devices. 2007 – 247 companies were involved with mapping and GPS devices. 2014 – Back down to the core companies. The suggestion I will try to incorporate is to use “points of interest” already defined in the system whenever possible. Those have latitudes and longitudes already specified. If you enter an address (which is what we did most of the time) the location is extrapolated and accuracy is reduced for a variety of reasons. Hopefully we won’t be led astray this afternoon. We are headed to one of Randy’s favorite places – Tucson! We are looking forward to seeing some family and enjoying familiar places. 4 Responses to We Got Re-Hitched! Lucky you listening to a Neil Diamond tribute band! Only thing better is the man himself (and Yes, Randy, he is still alive!) Hope you enjoy Tucson! Looking forward to seeing you in another month! When did we see Neil Diamond, like 20 years ago now? Fun times! Congrats on your hitching! I really enjoyed this blog entry. We had a fun time at the rally. I don’t think we’d go cross country for a rally, but if we are in the region, we’d go again.